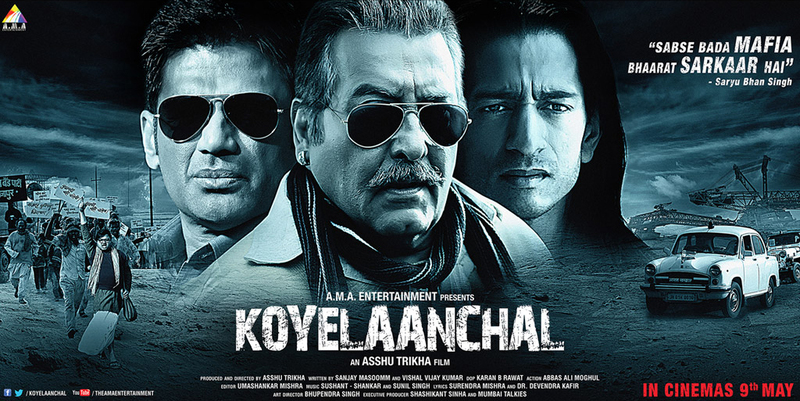 Koyelaanchal is the fresh upcoming movie of Bollywood film industry with a serious script and characters. The film is based on the real story and true incidents in relation to the coal issues. If coal is an important fuel of our Industrial development, Koyelaanchal (coal belt of India) brings to light the explosive story of the people, this is something that you can guess about the movie. It has been directed and produced by Ashuu Trikha and the story writers are Vishal Vijay Kumar and Sanjay Masoom. Koyelaanchal is a well scripted and casted movie with impulsive characters in it. It has got some popular names of Bollywood industry as the lead star cast of the film. Koyelaanchal is going to hit the box office screen next Friday on 9th May 2014. So let’s check out now some more interesting info regarding this forthcoming release Koyelaanchal below. Koyelaanchal is the upcoming movie of Bollywood with well known names and stars associated with it. 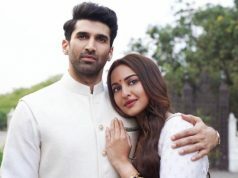 The film features different personalities like Sunil Shetty, Vinod Khanna, Vipinno and many other popular names as the lead and supportive star cast. After a fair long time, Sunil Shetty and Vinod Khanna will be back in the film industry. Koyelaanchal is a story revealing the life of an ex-owner turned Mafioso of the region, who through his sheer brutality & blatant defiance of law of the land, forces the people & the authorities to acknowledge him as their ‘maalik’. Any protest, any voice of dissent against him is dealt with spine chilling violence of epic proportions. Things get a bit difficult to handle for Saryu Bhan Singh when an upright District Collector takes charge of the region and starts asking him questions that no one dared ask him before. Whole story is about the impulsive situations and powers. Koyelaanchal is a story based film and not a music oriented or romantic movie requiring the songs to hold the audience. But still there are few songs present in the movie that suits the story and script as well. Music of Koyelaanchal has been given by Sushant-Shankar & Sunil Singh. Koyelaanchal movie has not been promoted well enough as next Friday the film is releasing and most of the audience is not aware of the film even until now. It shows the lesser promotion cost spent by the film makers on the publicity of the movie. Publicity Pro of Koyelaanchal is Parull Gossain. Koyelaanchal movie first official trailer was released quite long ago. 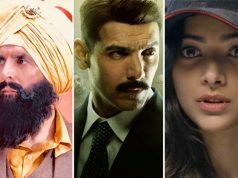 Audience has not shown big interest in the movie according to the response towards the trailers and teasers but still the script has been appreciated by the viewers as well s the characters present in it. Let’s wait and watch how the audience react for this upcoming movie his Friday. Stay connected for Opening Day Box Office Collection Report do Koyelaanchal movie.